Hi everyone, welcome to my first smartphone unboxing review. The Hong Kong smartphone – Tecno, maker has been tightening it game in the smartphone market lately, gaining more grounds in different markets across Africa and the Asia. As a result, one could just sleep and wake up to a new dawn of the day, as well as a “new dawn of smartphone” from Tecno. Well, we love it that way, and let them keep it coming because, we’ll be here to play with them in different reviews and testing, just as Am going to do today, with the Tecno Spark K7. 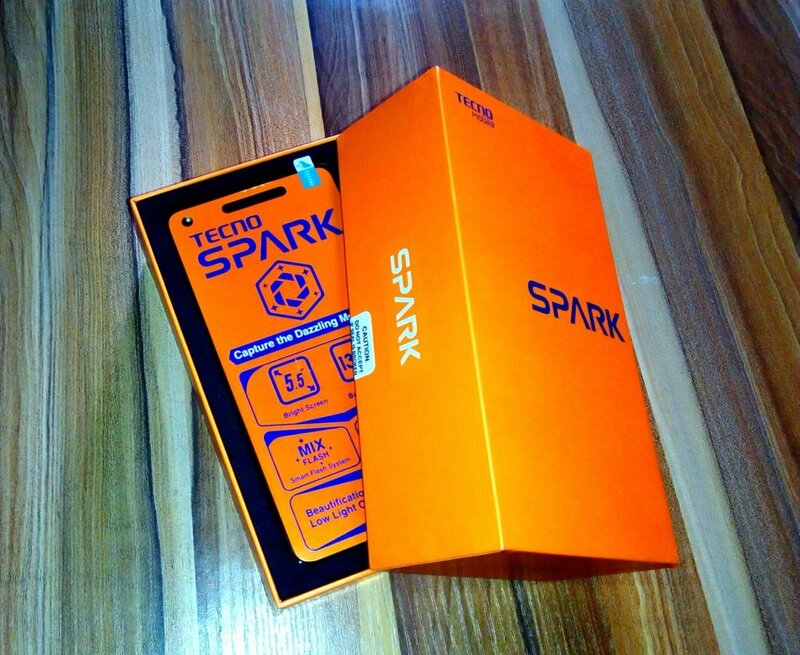 So once again, you are welcome to the Tecno Spark K7 Unboxing Review and Antutu Benchmarks. My review unit came completely in orange color, with minimal writing on the box. 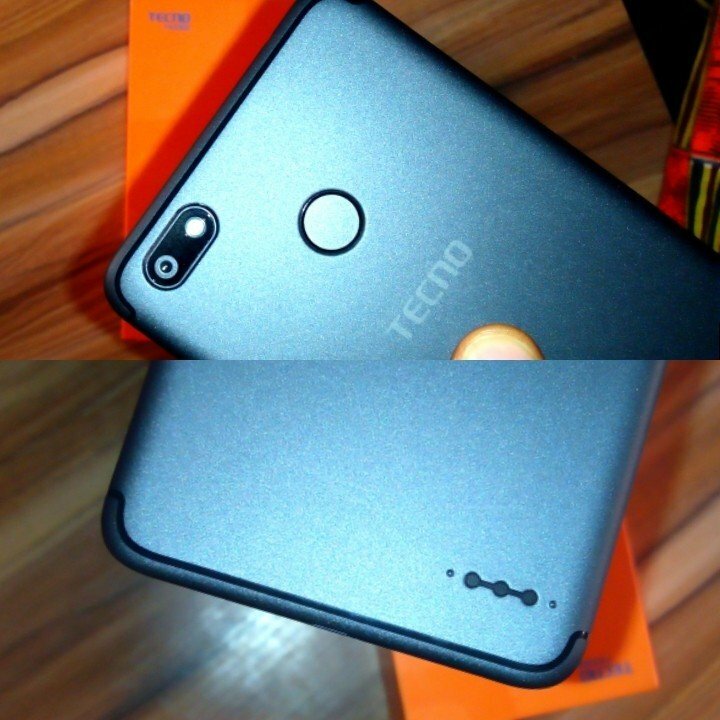 Even the Tecno Mobile symbol is kept almost hidden, with the whole details and focus on the bold SPARK label. 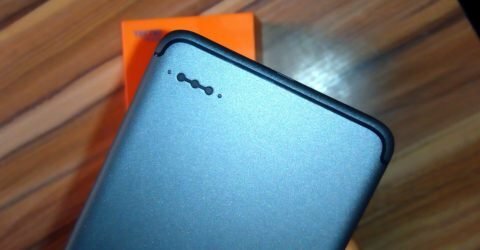 On opening the box, I was greeted with the 5.5-inch device still covered with yet another Orange detachable screen guard. 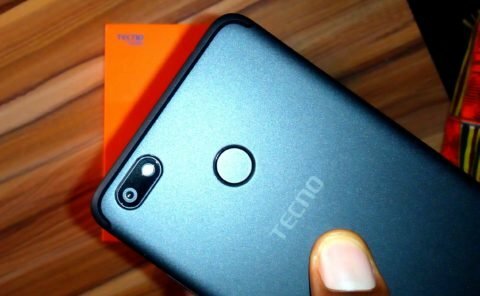 At this point, I was now thinking, Tecno had made a mistake by sending out an orange colored device, instead of the claimed Phantom Black on the park. But No! The device is Black, but just hidden in orange box. The normal Tecno wired earpiece you know. yea, I mean that one that look exactly like Infinix. Since our unit is black, we need to look a bit closer to notice some of the items hidden in the black glass panel covering the front of the device. And after looking closer, on the top of the screen, you’ll notice the 5 mega-pixel front facing camera standing in between the earpiece grill and the front facing LED flash to the left, and the ambient sensor and a notification light to the right. At the base of the screen, is the traditional Android capacitive navigation keys, but non-illuminated! On the right hand side of the K7 is the power button, below the volume rockers, a 3.5mm audio jack at the top, a USB 2.0 port and mouthpiece at the base level, while the left hand side is kept completely bare. 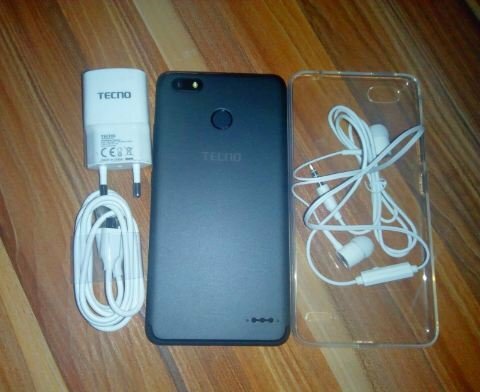 Turning to the back, you’ll notice what looks like the dual rear camera set up on the Apple iPhone 7 plus, just that, the second camera in the case of the Tecno Spark K7 aside the main 13-megapixel camera, is the Single LED flash (hope you understand what I mean?). 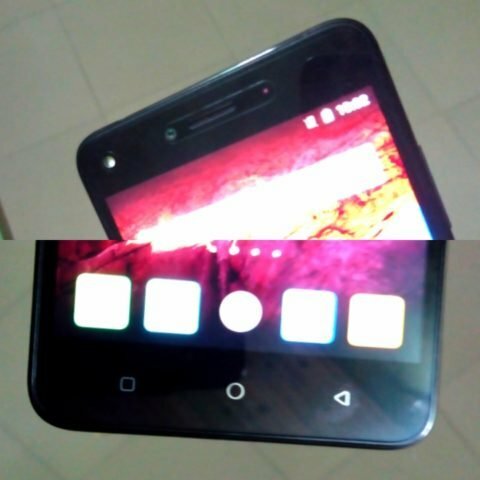 Just after the camera is the rear facing fingerprint scanner, and Tecno logo below it. To the base of the device, is the device load speaker mounted to the right. On pulling the rear panel, you’ll be greeted with the Non-removable 3000mAh battery, and three slots dedicated each, for two SIMs and a microSD card. 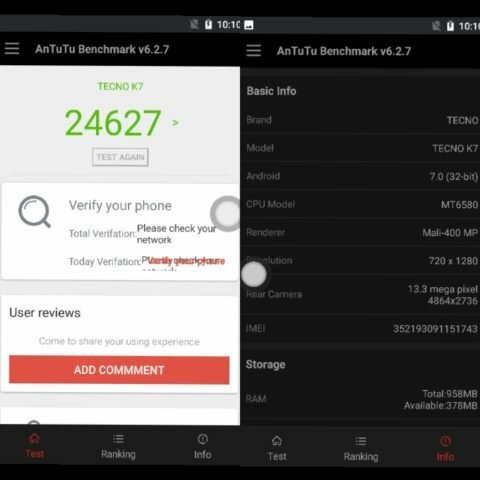 I also ran the popular Antutu benchmark app on the Spark K7 and was able to confirm few things, especially the processor, which is Mediatek MT6580 32-bit Cortex-A7 quad-core processor, clocked at 1.3GHz, alongside the aforementioned 16 GB internal storage and 1 GB of RAM among others (pictures below please). So please note that, there’s no octa-core processor in the Tecno Spark K7. But like I clearly stated in the video Unboxing Review, I’m going to email Tecno to find out why the company’s website is listing this device with octa-core processor, perhaps, the 2GB RAM version is got the said octa-core processor. On the other hand, maybe the the company is referring to the higher version Tecno Spark K9, which should be powered by a Mediatek MT6753 octa-core processor. In either case, we’ll find out in the full review. The overall look and feel of the K7 is satisfying especially the little textured back panel, which add to better grip on K7, but I’m just going to use this device for few more days, then I’ll share my final thoughts in a more detailed review. So please do stay with us.